What type of event will entitle me to COBRA eligibility and for how long? Termination of Employment – an employee has terminated employment. The employee and covered dependents are entitled to 18 months of COBRA eligibility. Reduction of Hours – an employee has reduced hours to the point where they no longer qualify for benefits under the group healthcare plans. The employee and covered dependents are entitled to 18 months of COBRA eligibility. Divorce –a COBRA Election Notice will be mailed to the ex-spouse based on the court-appointed date of the dissolution of marriage entitling him/her to 36 months of COBRA eligibility. Legal Separation – Based on the court-appointed date of the legal separation. A COBRA Election Notice will be mailed to the legally separated spouse entitling him/her to 36 months of COBRA eligibility. Loss of Dependent Status – a covered dependent child turns age 26 and will lose coverage at the end of their birthday month. A COBRA Election Notice is mailed to the 26 year old entitling him/her to 36 months of COBRA eligibility. Death of Employee – an employee has died. A COBRA Election Notice will be mailed to the surviving dependents that were covered on the employer’s group benefits entitling them to 36 months of COBRA coverage. What if I am already enrolled in Medicare Part A or both Part A & B when I have a COBRA qualifying event? You are eligible for 18 or 36 months of COBRA coverage depending on your “COBRA qualifying event.” Becoming eligible for COBRA has great impact on your Medicare coverage. 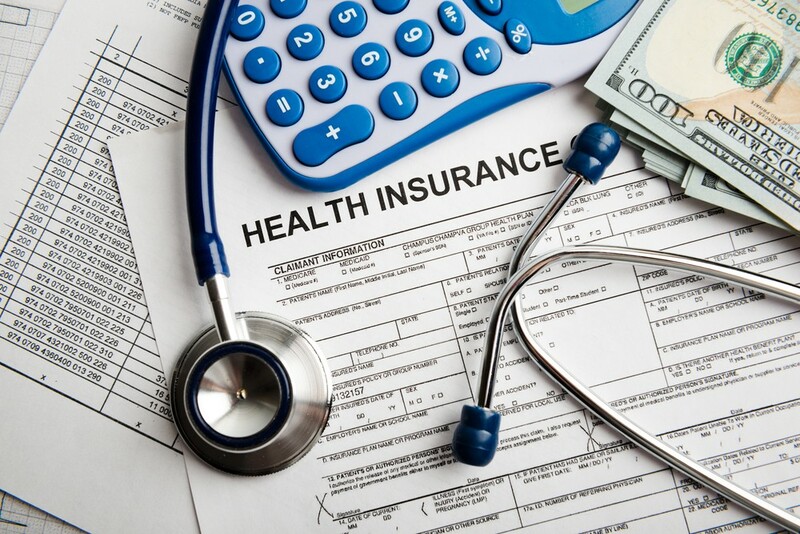 It would be wise to consult with an insurance broker with specialized Medicare training in order to review the facts and circumstances of your situation. Enrolling in COBRA coverage could have unintended Medicare consequences. How long must I wait to receive a COBRA Election Notice? It must be mailed within 44 days from your “COBRA Qualifying Event” date. How long do I have to respond to the COBRA Election Notice? You have 60 days from the loss of coverage date or the date the COBRA Election Notice was mailed (whichever is the later) to respond by mailing your COBRA Election Form. Do I have to mail the COBRA Election Form with payment? No, however you will not be enrolled in benefits without payment. If you elect COBRA by mailing the COBRA Election Form without payment, you will have an additional 45 days to make all retroactive premium payments from the postmark date of the COBRA Election Form. My COBRA Election Notice included several healthcare benefits; do I have to elect all of them? No. You can pick the benefit(s) you want. You may also drop dependents at this time but you cannot add dependents unless it is open enrollment for that particular benefit. What happens after I elect COBRA? If you’ve paid the premium, your healthcare coverages will be reinstated back to the loss of coverage date. Your medical ID card will begin working again (in most cases) and you will not be mailed a new one (in most cases). Any medical deductible you may have met earlier in the plan year will be credited to your COBRA coverage. How will I pay my monthly premiums? You will be mailed payment coupons until the next benefit renewal month. The coupons will list the benefits you’ve elected, how much they cost, and where to mail your payment. You may use these coupons to mail a check every month or if you use your bank’s bill-pay service, no coupon is needed. No. We have in the past but the bank fees we must pass along to COBRA participants are too cost prohibitive. What is the grace period to pay my COBRA premiums once I’m enrolled? The monthly premium is due the first of every month with a 30-day grace period. Payment must be postmarked no later than the 30th day of the month in which the COBRA premium is due. If NOT postmarked by the 30th day in which it is due, your coverage will be terminated back to the first of the month you failed to pay the premium on time. Are there alternative benefits I may be eligible for in addition to COBRA coverage? Yes. Having one of these events will qualify you to apply for Individual insurance and/or the State or Federal Exchange. It is important to consider the benefits of COBRA, individual coverage or exchange coverage and the costs. If you elect COBRA coverage, you will not have an opportunity to apply for individual coverage or Exchange coverage until the next open enrollment period (typically January 1st). What are the benefits of COBRA coverage over Individual coverage or Exchange coverage? If you have already met your deductible or out-of-pocket maximum on the group plan before being eligible for COBRA, it might be advantageous to stay on the COBRA plan until the end of the calendar year. If you move to an individual plan or Exchange plan mid-year, your deductible will reset to zero when that individual policy or Exchange policy begins. While all plans are different, it is common for COBRA coverage to have greater benefits due to being a group plan. Individual and Exchange coverage can be more expensive for older individuals because rates are based on age. What if I become eligible for Medicare while on COBRA? The insurance carriers will terminate your coverage under COBRA due to your Medicare entitlement the first day of your birthday month even if you wanted to keep COBRA coverage. How do I terminate my COBRA coverage before the end of my COBRA eligibility? Provide written notification that you want to terminate your coverage. If you fail to pay your premium within the 30-day grace period, your coverage will be retroactively terminated for failure to pay premiums. What happens if I remain on COBRA until the end of my 18 or 36 months of eligibility? You cannot stay on COBRA after your eligibility period ends. You must find other coverage. You will be mailed a Conversion Letter six months before the end of your COBRA eligibility to remind you that your COBRA coverage cannot be extended and you must convert to an Individual, Exchange or other group policy. Can COBRA be extended for my dependents? Yes. If a covered dependent incurs a qualifying secondary event. Such an event includes, a covered dependent experiences a divorce, a legal separation, a loss of dependent status, or a death during the 18-month COBRA eligibility period. This entitles the covered dependent to a total of 36 months of COBRA eligibility. Yes. If you have been “deemed disabled” by Social Security, you will receive an “award” letter. This letter must be submitted to the COBRA insurance carriers within 30 days of the date on the “award” letter. The insurance carriers will extend COBRA eligibility from 18 to 29 months (no extension available if the COBRA participant is already eligible for 36 months).